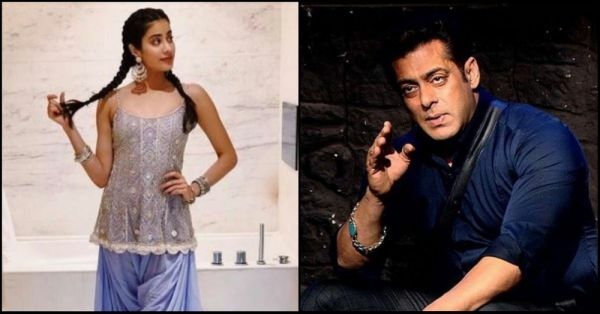 Janhvi Kapoor's Most Embarrassing Childhood Memory Involves Salman Khan! Janhvi Kapoor is all set to make her debut opposite rumoured beau Ishaan Khatter with Dhadak and she has admitted that she was destined to be in the industry. Her name is popping up in the headlines more than usual, as she is promoting her movie that's releasing this Friday. 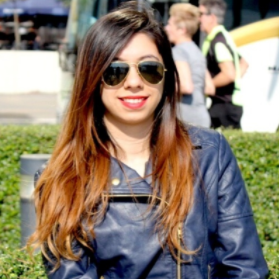 In one of these media interactions, the 21-year-old shared her most embarrassing childhood memory that involves Salman Khan. In an interview with a leading daily, she said, "Once when I visited the sets of Wanted, Prabhudeva was rehearsing a dance sequence with Salman Khan and Katrina. I was around 10 or 12 then. I crept into the room where the dancing was taking place. I was so fond of dancing that I couldn’t resist myself. I stood in the corner, swaying to the beats of the song. I was busy enjoying dancing and didn’t realise Salman had spotted me. He called me and asked me to dance in the middle of the room. I went ahead and danced happily, while the others stood around me. Back then I thought they were all appreciating my moves but when I think about it today, I’m so embarrassed!" Did she say Katrina Kaif in Wanted? I don't seem to recall Katrina's cameo in the film, let alone the titular role. Perhaps she meant Ayesha Takia? Evidently, Janhvi has been connected to the film industry since a tender age. This has obviously made her a part of the nepotism debate. And boy, Janhvi did have an interesting comment to make. The newbie said, "I feel I am unbelievably lucky. I don't know what I have done right in which lifetime to have got this opportunity. It would be wrong if I act complacent and act as if it's my birthright to be here, but I won't. I want to work hard. I want to prove myself." On being asked about how there are more talented people too, she said, "I am sure there are people much better looking and more talented than me, but the point is why should I sacrifice this opportunity that's been given to me just because there might be other people. I have got this and now what I make of it is most important." Well, that's a rather touchy topic in Bollywood these days. Let's hope her movie does well at the box office and she proves that it's not all because of her Kapoor surname that the opportunity knocked on her door.